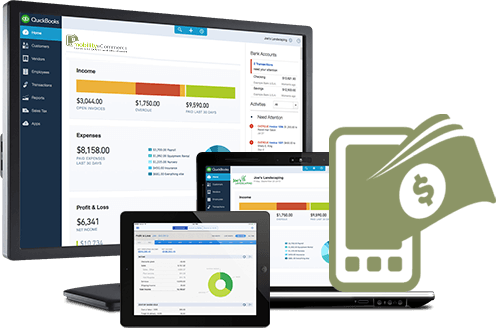 QuickBooks is a business accounting software that provides solutions such as accounts receivable, reporting, online banking, payroll, general accounting, automation, bi-directional synchronization and other functions. 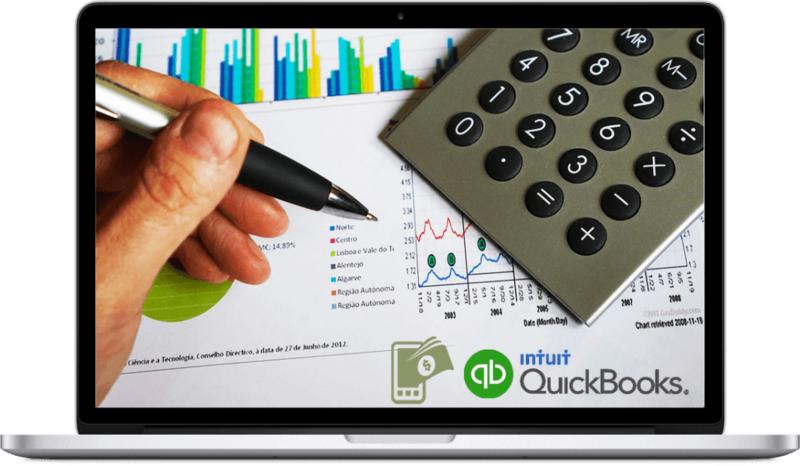 There are more than 2 million businesses using QuickBooks® for their accounting and financial needs. MobilityeCommerce integrates with QuickBooks® Online to deliver a virtual program that ensures data accuracy, avoids duplicate manual entry, enhances flexibility and increases control over your bottom line. MobilityeCommerce will automatically update Inventory and Sales information from all of your various sales channels. Sell on Amazon, eBay, Walmart or any other marketplace that suits your business and see your entire business from single software. Record all of your sales, fees, and tax information and update your inventory in accounting. You can easily manage cancelled orders and refunds and generate a refund check automatically in QuickBooks. Enjoy greater control of your financial & accounting data and profit margins, and have better perspective of your business with QuickBooks Multi-channel selling integration. Manage your FBA Orders, Fees and Stock with a combination of MobilityeCommerce and QB Online. Mobilityecommerce adjusts inventory such as receipt, invoice, actual inventory counts, and more, sync to QuickBooks to update product inventory costs. Enter inventory data efficiently and reliably with a bar code scanner. You can track items among multiple locations, down to the bin level and serial or lot number. You can eliminate double data entry and automatically create packing lists and invoices. Easily see how many items are on hand, on purchase order and on sales order at your reorder point. Use MobilityeCommerce with QB Online to track your Amazon FBA Inventory Automatically sync price and quantity between sales channels and Mobilityecommerce. Combine expenses on a single invoice, time and materials and fixed-fee deliverables. Vendors’ account and purchase order information sync from MobilityeCommerce to QuickBooks to show which items were received from whom. Automatically sync data and eliminate the need for manual entries and save countless hours. Easily sync data and see your information flow from the POS into your accounting program. Speak to us to understand how you can configure all the marketplace commissions, fees and charges in QuickBooks so you can get a better understanding of your gross profit. Capture all marketplace sales and shipping tax. 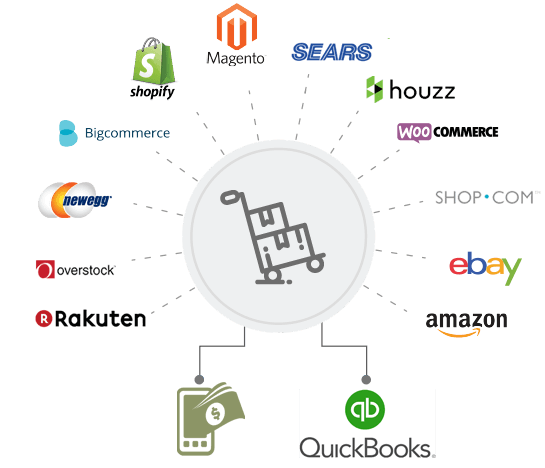 You can easily sync pricing and products from QuickBooks to MobilityeCommerce and add connection to Amazon, eBay and other selling channels. Easily sync customers, inventory, products, and orders with QuickBooks Online. 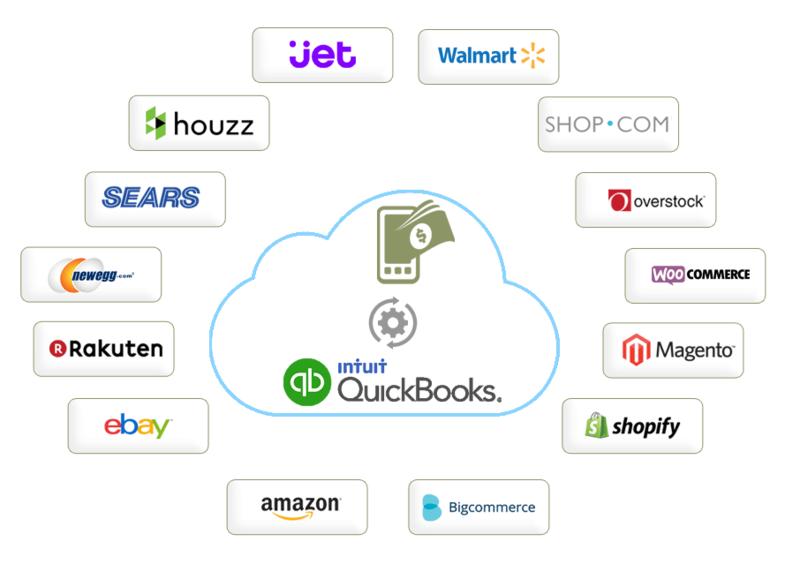 QuickBooks Online Integration takes care of sales orders, shipping, packing, picking and other aspects of order fulfillment. We provide all inventory adjustments, such as scrapped inventory, returns, and cycle counts made in mobilityeCommerce are immediately sent to QuickBooks Online. We will automatically set up new tax agencies and their relevant tax rate based on your all imported orders. Quickly and easily import all your orders and refunds from mobilityeCommerce into QuickBooks Online.